More paperwork? No, thank you. Enroll teams to your competitions in a smarter way. 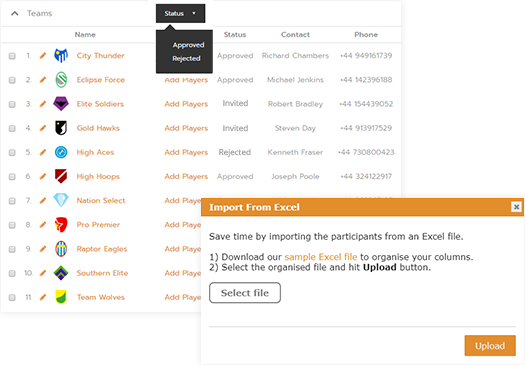 Collect team and player data, quick and easy. Simplify payments with secure online processing. Enroll more participants by making it fast & simple to register for your competition. Get rid of emails, calls and complicated forms. 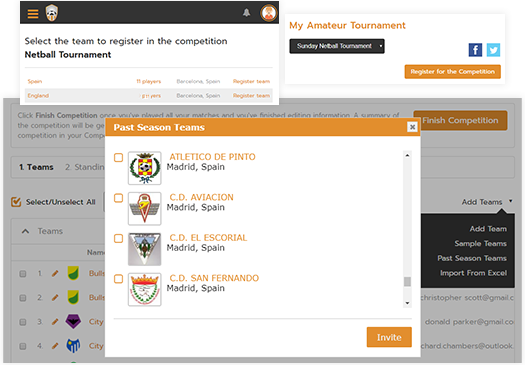 Share a registration link on your web and social media or invite teams from previous seasons. Received some registrations in person or over phone? No worries, add them manually or save tons of time by importing them from a spreadsheet. Track easily who's been invited, approved, rejected and who paid or cancelled. Keep all your data and contact information in one spot. Request, collect and track registration fees and payments for accommodation or transport from one single spot. 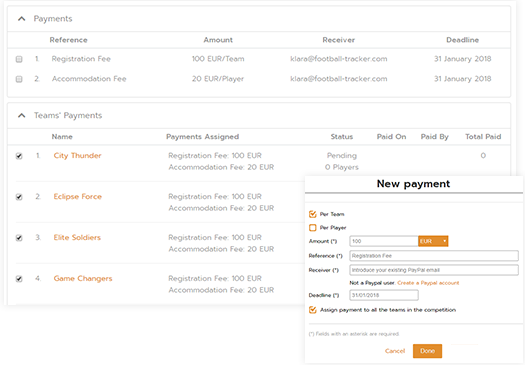 Assign payments to selected teams, set deadlines, track who and when paid. Stop chasing down fees and matching them with your bank statement. Receive money quickly & securely.